Limited features of the HP-42s and the HP-48. Is there a better alternative to APCalculator? Is APCalculator really the best app in Desktop category? 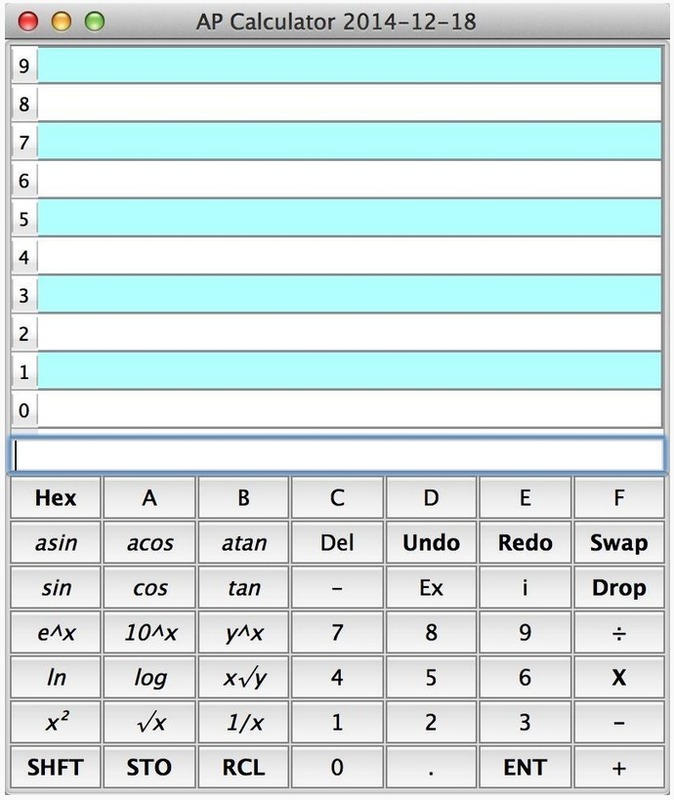 Will APCalculator work good on macOS 10.13.4? Version 20150111: Release notes were unavailable when this listing was updated. Note: Although Finder indicates no version number for this application, the developer refers to it as version 20150111. 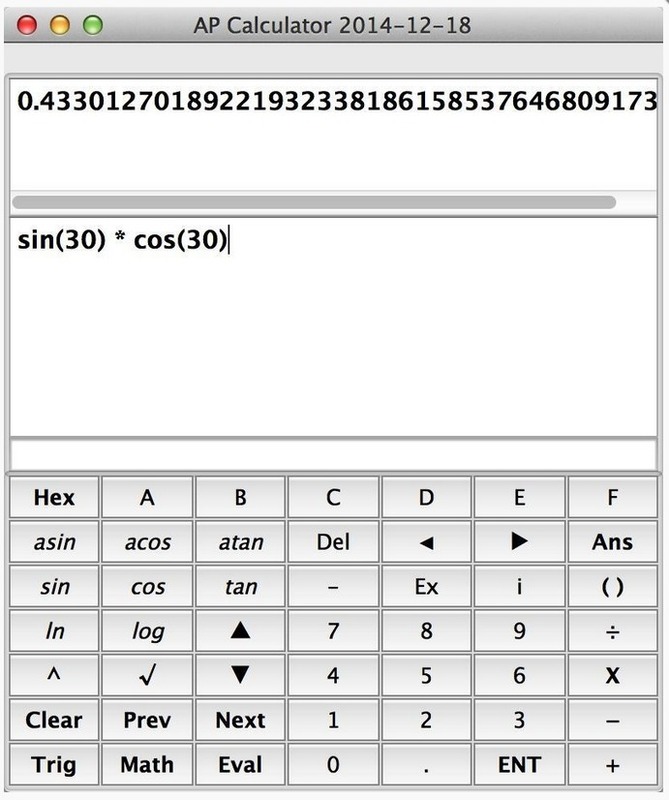 APCalculator needs a review. Be the first to review this app and get the discussion started! APCalculator needs a rating. Be the first to rate this app and get the discussion started! 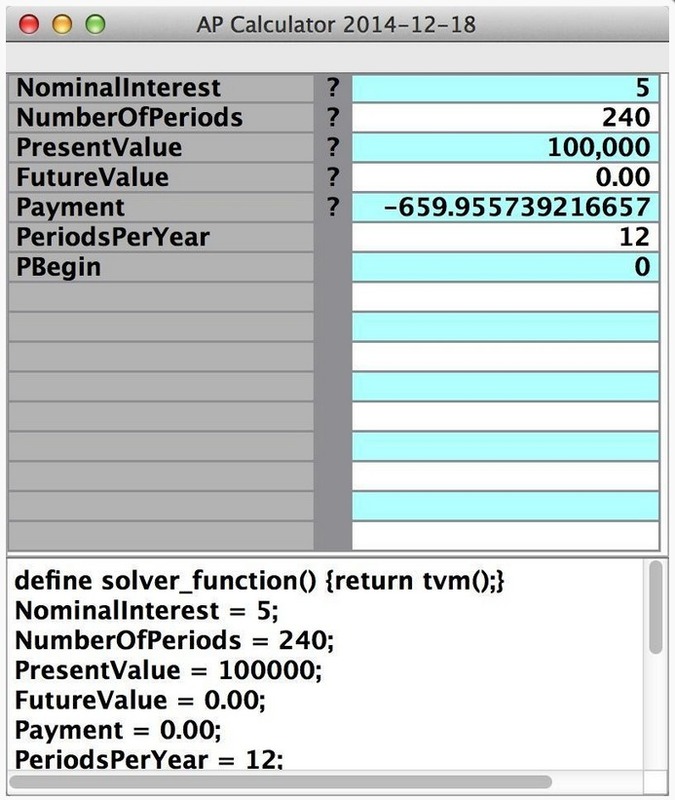 Solve mode is similar to the solve feature of HP calculators, for example allowing solution for any variable even when there is no analytic solution, e.g., Time Value of Money. Note: The internal precision is only limited for irrational numbers, e.g., Pi, as all integers and rational numbers, e.g., one third, are stored as rational numbers.